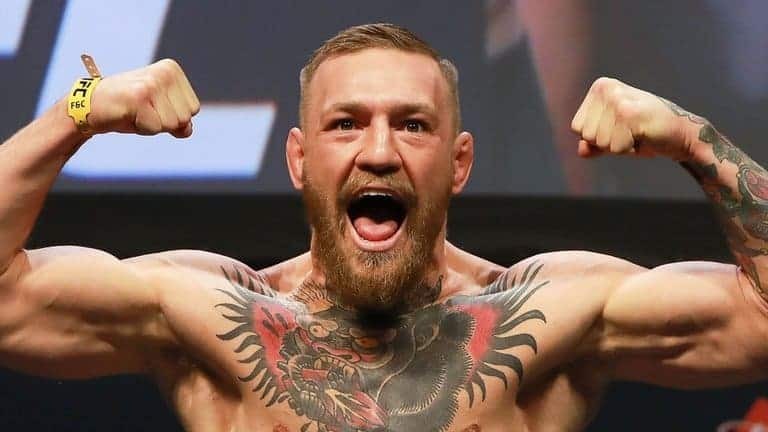 The New York Police Department has said that Mixed martial arts fighter, Conor McGregor was in custody in New York on Friday, after charged with assault and criminal mischief for a van-smashing rampage at a UFC press event in Brooklyn. Video footage of the fracas on social media showed objects being thrown at the van, and a number of people were injured by glass fragments as windows were smashed. Police charged McGregor, 29, with three counts of assault and one count of criminal mischief, according to Lee Jones, an NYPD spokesman. Scores of news photographers and multiple broadcast trucks waited for a glimpse of McGregor leaving the police station in a quiet residential Brooklyn neighborhood. McGregor, who gave up plumbing to become one of his sport’s most recognizable and divisive stars, was due to be transferred to the criminal court in Brooklyn later on Friday for an arraignment hearing, Jones said. McGregor, 29, has been charged with three counts of assault and one count of criminal mischief, according to Lee Jones, an NYPD spokesman. Aside from his athletic success, McGregor is known for his beard and colorful tattoos, taste in expensive and flashy clothes, and aggressive taunting of opponents that stands out even among professional fighters. This is not the first time the fighter has been caught up in violence outside the ring. The New York Daily News reported that the Nevada Athletic Commission fined McGregor $25,000 after he threw water bottles at an opponent during a pre-fight news conference in 2016.